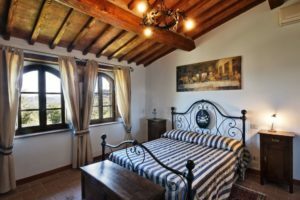 Staying in apartments in Tuscany allows you to feel good at home, in fact, even better. The sense of independence combined with the holiday atmosphere, hospitality guaranteed by small measures to not to miss anything, a fascinating place that ensures a charming stay to be preserved among the precious memories … All this and more awaits the farm La Dragona the enchanting Tuscan territory included among the provinces of Siena and Grosseto, in the natural terrace at the foot of Mount Amiata overlooking the Val d’Orcia. And so, traveling with family or friends, with a soul mate or by yourself, you can stay in our old farm recently renovated and restored but fully retains the charm of tradition. 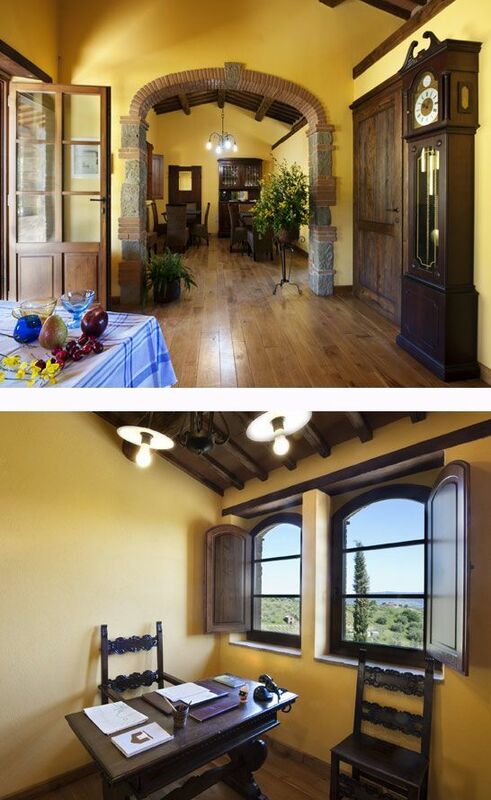 From the stone house, in fact, have been realized five, each with private entrance and all the necessary amenities. – Shared use of the charming outdoor swimming pool, in operation during the summer. All apartments are equipped with an additional double room (for a total of four places beds); Leonardo and Botticelli apartments also have an additional room situated on a mezzanine which is particularly useful for children (for a total of six beds). 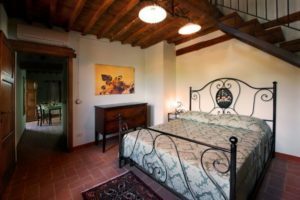 The studio Caravaggio, designed specifically for couples, can also be connected to the apartment Raffaello, obtaining accommodation for six people with two bathrooms and three bedrooms. 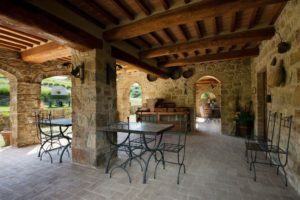 The ideal location of our farm, from which you can reach the sea, the mountains, the spa and the city is the ideal solution for all those who’re looking for apartments for rent in Tuscany. Leonardo apartment is composed by a wide kitchen with dining room, two bedrooms and a mezzanine and it can host up to 6 people. Situated at the first floor of the house, with its terraces with view on the pool andthe vally it is perfect for a family holyday. With its living room with a kitchen area and two bedrooms, the Michelangelo apartment profit from a double view. Its quiet patio gives direct access to the pool. With a furnished patio, opened towards the pool, two bedrooms and a kitchen-dining room on ground floor, Raffaello represents a lovely solution with guaranteed accessibility for disabled people. 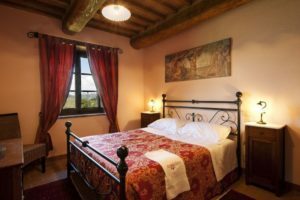 Delghtful studio with kitchen corner, Caravaggio is perfect for romantic holydaysfor couples. Under request this studio can be connected to the Raffaello apartment, creating hence a wide apartment with 3 bedrooms. This flat, at the first floor of the house, is composed by a big living room with kitchen, two bedrooms – one of them also has a mezzanine, allowing to add a twin bed. 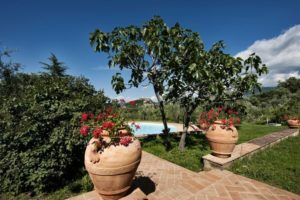 The apartment has a wide private terrace with view towards the Amiata Mount.